Off U.S. Route 33 in Rockbridge, a small town near Logan, I met Leota Hutchinson, a woman who has transformed her 22-years of basket weaving experience into a business: Hutchinson’s Hilltop Haven. In Hutchinson’s Hilltop Haven, you can learn to weave a basket or buy one of Hutchinson’s hand-woven designs. Either way a trip to her shop is an authentic country experience. The shop sits atop a hill in the small town of Rockbridge, with a picturesque view of the surroundings. Hutchinson built the shop in 1991, after she outgrew her garage workspace. Today, tourists from her neighbor’s, Cabin and Tipi Retreat— At Boulder’s Edge – spill into her shop. Tourists come year-round to enhance their country experience. Some will simply purchase her products while others decide to spend the afternoon weaving a basket or two. She shares her hobby with anyone interested in learning by teaching basket-weaving classes Monday through Saturday. Anyone interested in learning more or signing up to make a basket-weaving appointment contact Hutchinson at (740)385-8130. 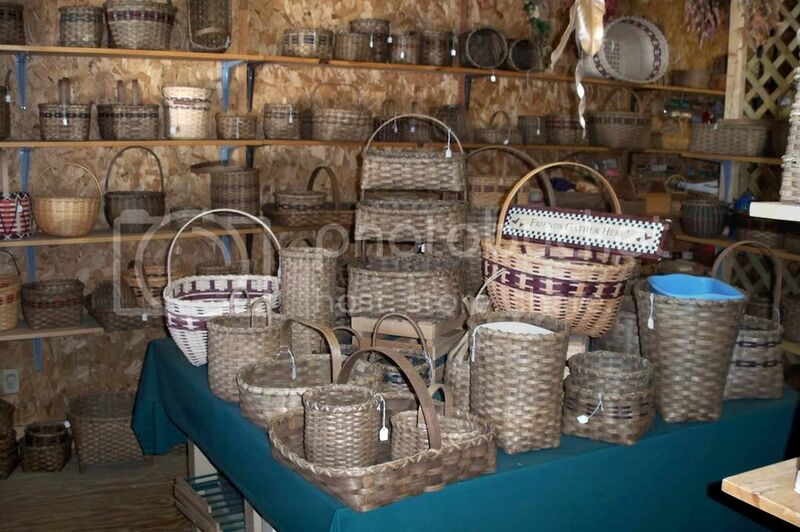 A few of the baskets for sale include: decorative baskets, functional baskets and tote-bag baskets. Hutchinson uses different colors and vine, called rattan, which is grown in jungles, that she purchases from a New York company. “They do it up real nice,” she says, referring to the one-pound rolls of vine she receives. When working with beginners, Hutchinson teaches the “beginners’ basket”, a rectangular basket with a single handle. A basket takes approximately three hours to make and costs about $13. Students have the option to add color and walnut stain, both of which she makes herself.